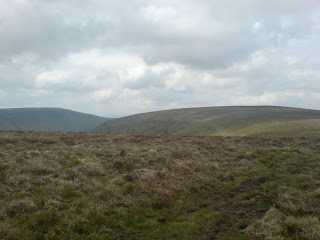 A little bit about not a lot A Little Bit About Not A Lot: A view from Offa's Dyke Path. The weather is good now, warm with a breeze with a fair amount of sun. We've made a detour off path because we're low on water but we'll just have wait til we descend a little later on. Really nice ridge walk with great views. Boots not fairing well on ascents which is rather unfortunate! Still a long way to go but should make our pitch in good time.